Bratislava, Slovakia – April 10, 2019 – Resco – the leading provider of enterprise mobility solutions for Microsoft Dynamics 365 and Salesforce – has introduced an updated version of its Partner Marketplace portal, where system integrators can promote their solutions built on Resco’s technology. Besides the changes to its look & feel, the portal now showcases each listed solution on a separate URL. That enables Resco partners to further boost the promotion and sharing of their listings and improves their searchability. Prospects and customers visiting the Partner Marketplace can effortlessly find and evaluate mobile solutions for their particular use case. The portal enables visitors to filter partner listings by industry (e.g. manufacturing, healthcare, retail & wholesale, energy and others), or by the country the partners are located in. Resco partners interested in listing their solutions on the Partner Marketplace, are required to submit a short description, screenshots, and a hyperlink to a website where visitors can find detailed information on the listed solution. For step-by-step instructions on submitting a new listing, partners can contact Resco’s Partner Channel team at partners@resco.net or attend the upcoming partner webinar on Tuesday, April 23, 2019. 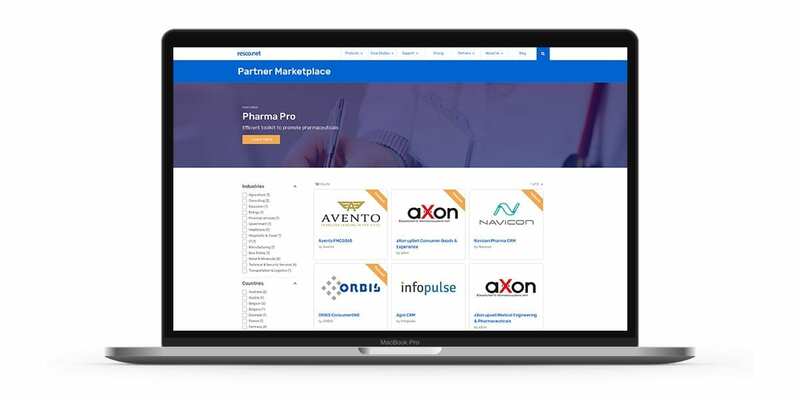 Partners, customers and prospects can visit Resco’s Partner Marketplace here. Resco founded in 1999, is one of the global leaders in developing cross-platform mobile software solutions. The team of Resco professionals utilizes their knowledge to design products for corporate customers, developers, integrators, and end users. Today, Resco is utilized by 2 200+ corporate customers with more than 150 000 licensed users around the world. The cornerstone of Resco’s Mobile Business Apps Platform is the Woodford configuration and management tool, which together with the Resco mobile client form the base of all Resco products.